If the main hero of your comic is a pointy-eared young girl with perky breasts and pink hair, it is one of two things -- a Japanese Manga, or a Western comic that desperately wishes it was a Japanese Manga. Blade Kitten, a collection of adventures based around the feisty and annoying creature known as Kit Ballard, is the latter. The videogame version of Blade Kitten is based on a comic created by a game maker who I think made the comic so he could make the game, but I'm not entirely sure. 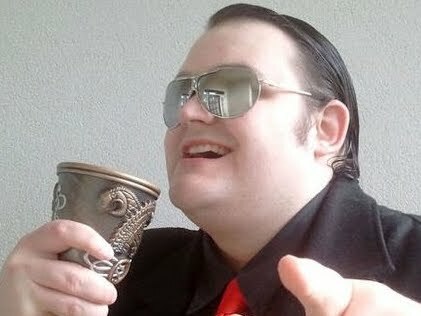 In fact, having dug around the Internet as much as possible to find out about the entire intellectual property, I'm still not sure exactly what the point of any of it is. All I know is that this is a game about a point-eared young girl with perky breasts and pink hair. All you need to know, I suppose. 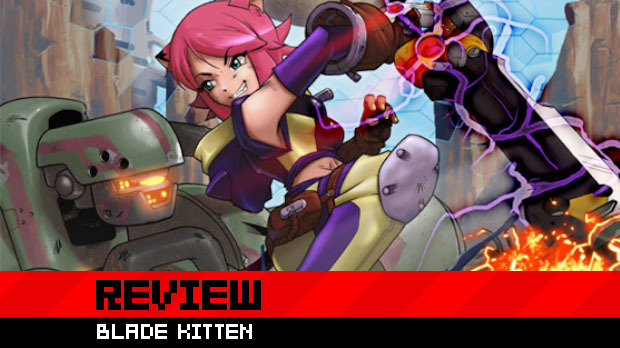 Blade Kitten is a sidescrolling action game in which Kit Ballard does nothing much of anything at all, slicing up foes with her semi-sentient sword and telling a little flying Pokémon thing what to do. The story is as banal as it can get, with dialog that is in turns uninteresting and borderline embarrassing (hearing Ballard say "Win Get" and "Epic Fail" makes me want to cringe). The general idea is that Kit is a bounty hunter, some stuff happens, and then there are things. 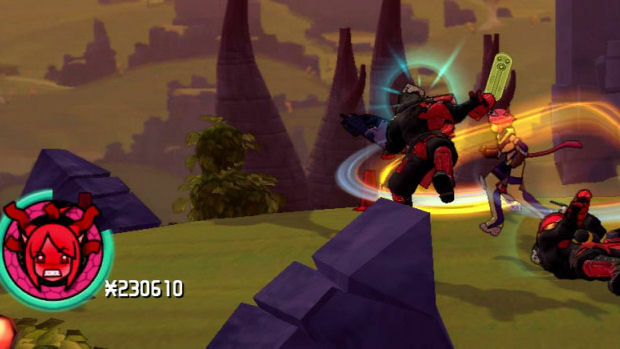 The vast majority of the gameplay consists of largely inoffensive hack n' slash combat and platforming, framed around a giant collect-a-thon extravaganza. Kit is able to make her floating sword perform both short-ranged and long-ranged attacks, although there aren't any combos or anything. You can effectively just walk around hammering one button and the sword will attack indefinitely. It's not exactly a thrilling combat system. It's just there. Blade Kitten, in fairness, does throw in a few token additions to break the monotony. Kit can do a ground-pound attack, and also has access to a special move that seems to be available only when the game feels like doing it. Enemy assaults can be blocked and every now and then you'll find an enemy that needs a more tactical approach, such as a back-attack or a ranged move, but for the most part, you just make the sword do its thing until everything's dead. Kit can jump from wall to wall, and can also climb up most surfaces and ceilings simply by walking into it. There are quite a few hidden areas in which to find collectibles and a number of environmental puzzles pop up now and then, which nearly all consist of pressing buttons or sending the little flying creature (Skiffy) to activate something. None of it's all that interesting, but none of it's frustrating either. Exactly like the combat, it's just there. 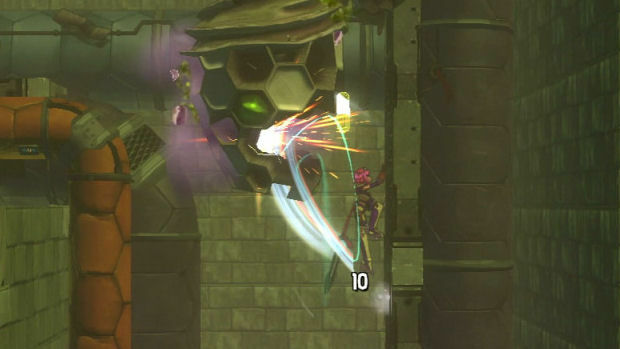 The formulaic platforming is occasionally broken up by sections that see Blade riding on the back of a bipedal pink thing. A cross between Dino from The Flintstones and an ostrich, as far as I can. It's nothing you haven't seen before, as Kit and her Dinostrich run from left to right, stopping every now and then to open a door or fight some enemies. If you can get into the game enough to care, you can also collect tons of Yen dotted about each level, which can be spent on new blades, health or stamina upgrades, and fresh costumes. The game has a Strider feel to it, with its combination of platforming and combat, but something about the game just doesn't quite feel right. Kit isn't the most responsive of characters to control, and her animations will sometimes get confused, especially when trying to transition from walking to climbing. She also feels a bit too floaty and light for a platformer, leading to a game that feels somewhat alienating to play. It doesn't help that the blade floats and fights without Kit herself having to do anything. Pressing the attack button and watching the sword go off to do its own thing makes the combat feel even less engaging than it perhaps could have been. 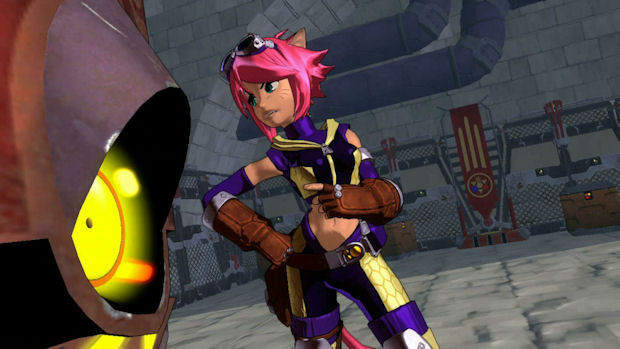 To its credit, Blade Kitten looks pretty nice, with some cool cel-shaded graphics. The weeaboo art style is something that will appeal only to those who already enjoy that sort of thing, but like everything in this game, even those who generally dislike anime won't be offended by the "look at how Japanese we can be" artistic direction. Blade Kitten isn't a bad game at all. It's very functional, it does what it does, and anybody can play it. However, there's absolutely nothing that it does that's compelling in the least. It's bland, it's charmless, and it's completely without a point. 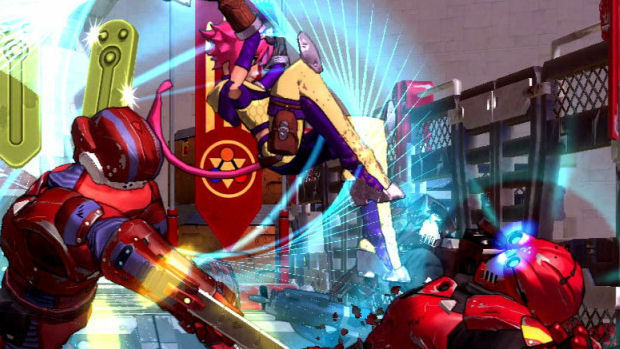 There are certainly those will find the art appealing, and fans of the comic, if any exist, will most likely dig whatever it is this game has to offer them. For anybody else, however, this game doesn't really do anything that hasn't been done in better games, and there's just so much else out there that one really can't justify spending the cash on this. If you're incredibly desperate for a sidescroller, then Blade Kitten will waste a handful of hours for you, and might even scratch your itch. You really would have to make sure there's nothing else left to play before considering opening your wallet for this, though.